Quick review today! 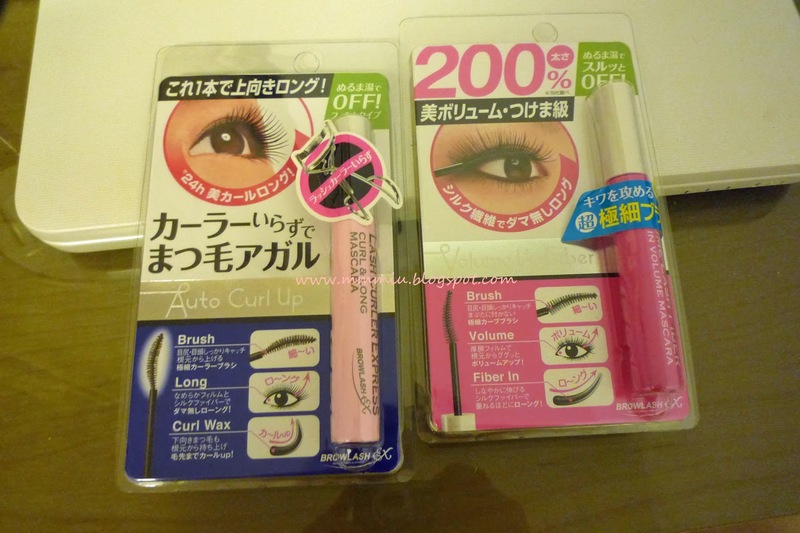 I purchased 2 mascaras recently, the BCL Lash Curler Express and Volume Lash Fiber. I saw it on Adambeauty while browsing around for new products. They were about $15-17 each, I can't remember the exact cost. These mascaras are supposed to be smudge proof and sweat proof but comes off easily with warm water. The Volume Lash Fiber mascara is supposed to plump up your lashes by 200% and it has fibers in it to help with volume. 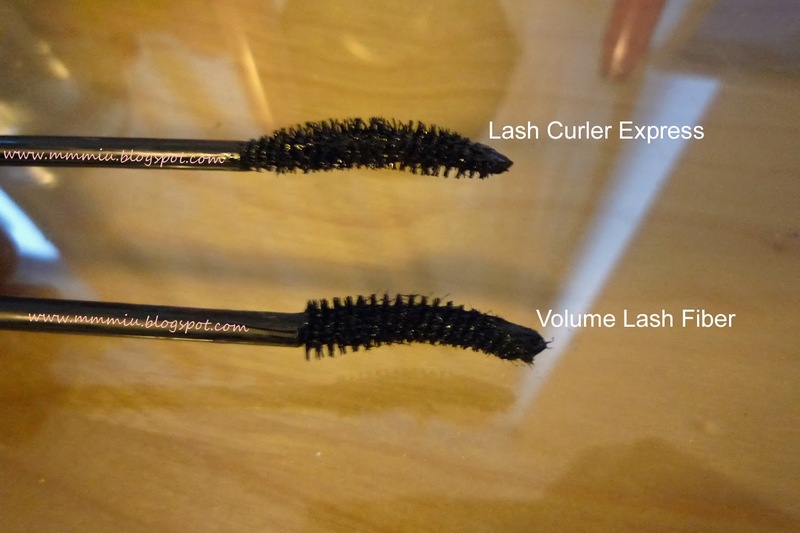 The Lash Curler Express mascara is supposed to be good at curling and holding it without using a lash curler. You can see the brush difference. The Lash Curler Express has a slightly wetter formula while Volume Lash Fiber is slightly dryer. The both have a unique curve to help catch the lashes and this aids in giving that curl. The wand on the Lash Curler Express looks like a half circle, flat on the bottom and rounded on the top. The formula is supposed to dry quickly with curl holding waxes in it. It does dry pretty fast and does a decent job at keeping my lashes curled, but it's not very volumizing. I haven't noticed any smudging around my eyes which is good, no panda eyes! The Volume Lash Fiber has lots of fibers in it. I like how the brush is tapered and curved so applying mascara on the corners of my eyes is much easier. I wouldn't say it thickens my lashes by 200%, but it does do better than the Fiberwig mascara. The only downside is, the tube dries pretty fast. I actually tried it last spring, but never got around to writing a review. The first tube I purchased, I liked it quite a lot, but it got way too goopy after using it for about 3 months. This time around, I noticed that it smudged a bit under my eyes after about 8 hours of wear. The main thing I like about both the mascaras are the shapes of the wands and it comes off with warm water. However, I'm not sure if I would repurchased the Volume Lash Fiber just because I noticed some smudging. 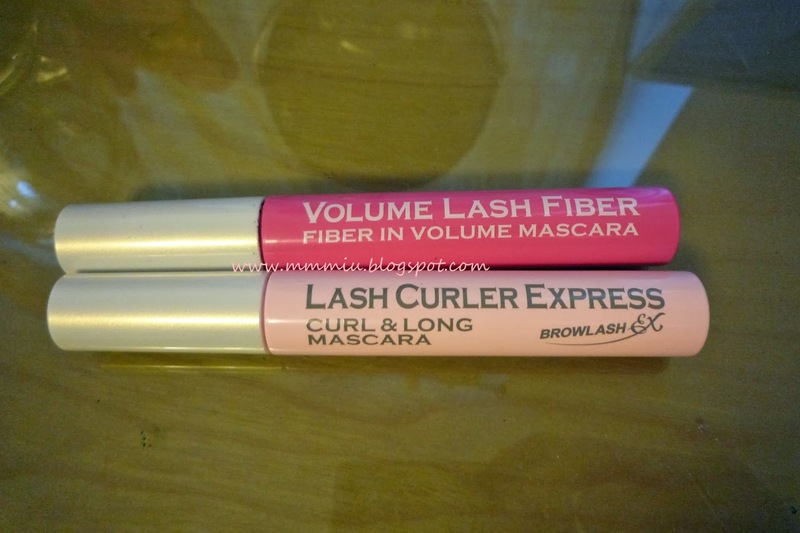 I'll definitely repurchase the Lash Curler Express because it holds the curl a bit better than the Fiberwig mascara.